I’ve never been to Malta although it is one of the places on my to visit list. It looks like an idyllic holiday destination as well as being rich in history and culture – a perfect mix in my opinion and the warm weather is appealing too. You can find out more about holidays to Malta here. I was challenged by Expedia to take part in their World On A Plate challenge to create a Maltese recipe. I’m always interested in trying and experimenting with new dishes so this was a fun opportunity for me. Pulpetti is a traditional Maltese recipe and I’ve made a few adaptations to make it my own. It’s best described as meat patties ( slightly flatter than meatballs ) using beef or pork mince or a combination of the two with a rich herby flavour. I’ve discovered that some people use corned beef – I may try that next! Some traditional recipes use Parsley but I used a combination of Sage and Rosemary from my herb garden. 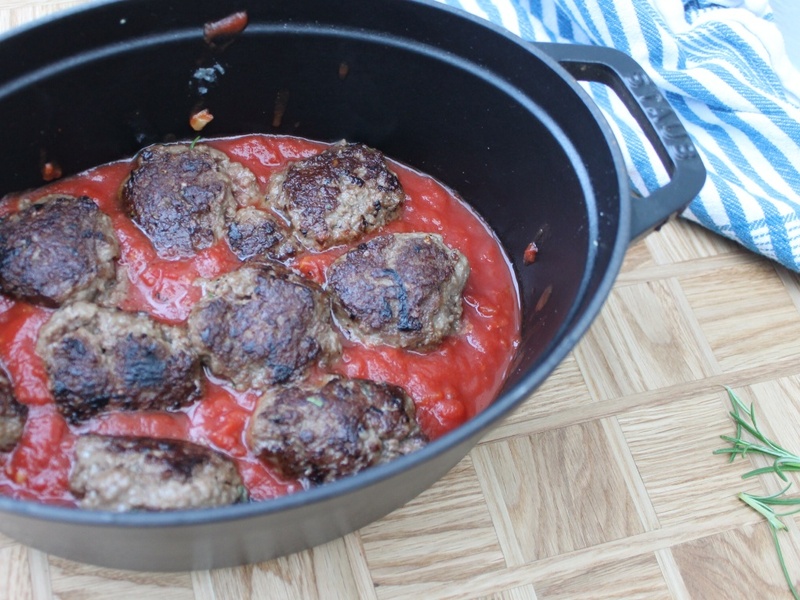 My Pulpetti were more meatball shaped than patties but they were extremely tasty all the same. I used three methods to cook the Pulpetti, baked, slow cooked and shallow fried. 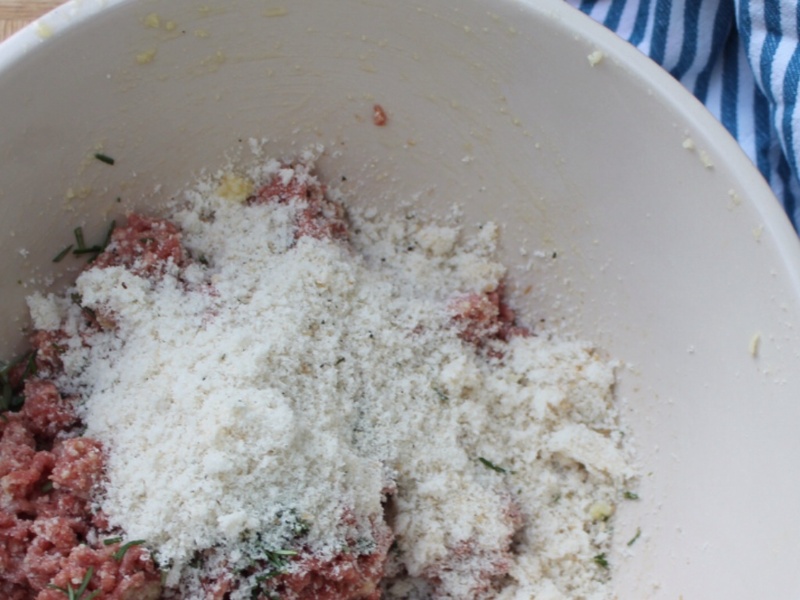 In a large bowl mix together your beef, eggs, Parmesan and olive oil. In a blender whizz your bread into fine breadcrumbs along with herbs, salt and pepper. Add this dry mixture to the wet and using your hands mix thoroughly. Using 1/3 of the meat mixture roll into small balls ( you can flatten them slightly if you like). Heat 2 tbsp of Olive oil in a large pan and brown your balls on all sides. 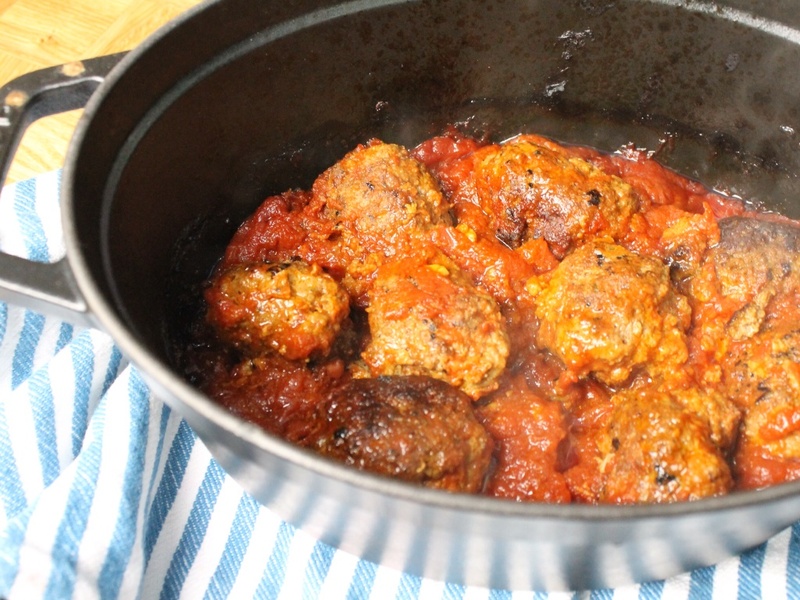 Add your brown sugar to your tomatoes and pour into an ovenproof dish, add your meatballs and bake for 40 minutes. Serve with the side of your choice, they go well with rice or in flatbreads. As above for the ingredients, use 1/3 of the mixture and form into balls, sear on all sides in a large pan before adding to the slow cooker with sauce and cooking on low for 6-8 hours. Serve as above. Tastes even better the following day. As above for the ingredients, use 1/3 of the mixture and form into balls. Add 1 cup of Olive oil to a large pan and heat until bubbling. Carefully add your meatballs and fry until cooked throughout. Serve in wraps or flatbreads with some yogurt and mint sauce or hot chilli sauce. Delicious. 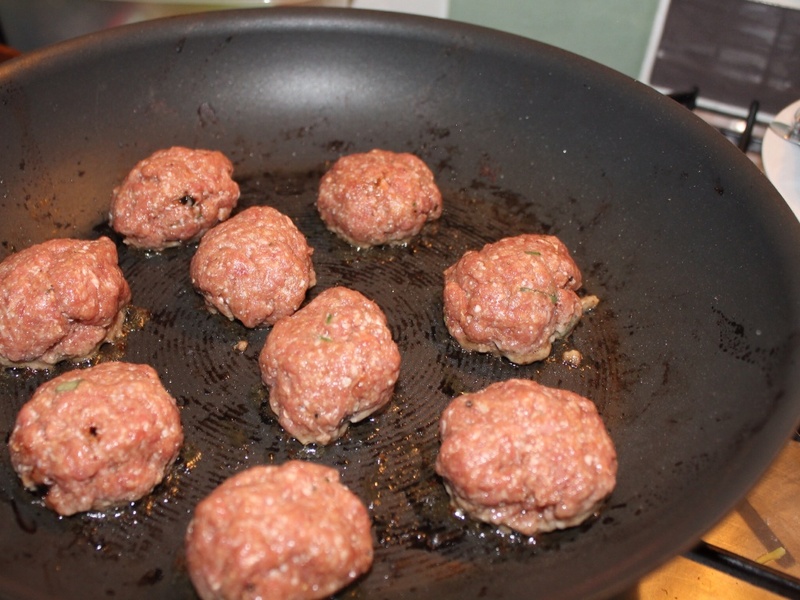 The precooked meatballs/patties can also be frozen to use at a later date. *This post is part of the #worldonaplate challenge with Expedia and I was compensated for my time and ingredients. I would never think I could make pulpetti in slow cooker, thanks for the tip. It is also such an interesting dish… my mother always use to make pulpety and I wondered where the name come from as it was not making any sense in my language, now I know why. Wow this looks delicious!I had pulpetti once a long time ago so wouldn’t know where to begin to make my own. I love how you’ve given a slow cooker method too. We are relying on ours so heavily at the minute I now have no excuse not to try this!